For SAP customers, selecting the right cloud and working with a trusted partner are the foundation for a successful digital transformation and cloud migration. Making sense of your data gives you the business insight needed for making better decisions. It’s time to start utilizing artificial intelligence (AI), data analytics and the Internet of Things (IoT) as growth engines for your digital transformation initiatives. AI and the IoT, individually and in tandem, provide valuable business insights to drive competitive differentiation through better customer experiences, while enabling greater operational efficiencies and process automation to help reduce complexity and lower costs. SAP customers, in particular, can gain significant additional business value by utilizing AI and the IoT. SAP applications generate tremendous amounts of data—structured and unstructured—providing the foundation for real-time insight and actionable intelligence. SAP has been ahead of the curve in recognizing the value of the data produced in its applications and harnessing it to drive modern business innovation. One only has to look at SAP product advances—the SAP HANA in-memory database in particular, but also solutions such as SAP Conversational AI and the SAP Leonardo Machine Learning Foundation. These clearly exhibit the growing importance of AI and the IoT to the future of SAP and its customers. The question for SAP customers is how to best use AI and the IoT to turn their data into insight and competitive business advantage. 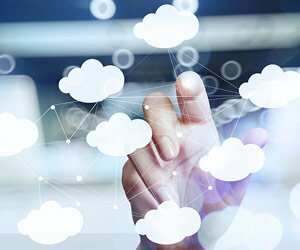 The answer, as it is for many questions facing IT decision-makers today, is in the cloud―particularly if you choose a cloud platform that already incorporates AI and cognitive computing as part of its core functionality. IBM Cloud is the undisputed leader in AI and cognitive technologies. When choosing a cloud platform to maximize AI and the IoT, select one that leverages open standards and offers flexible APIs to easily integrate new technologies into existing SAP applications and databases. IBM Cloud: Built for all your applications. AI ready. Secure to the core. Read this paper to learn how IBM Cloud helps companies balance optimization and innovation by customizing a cloud that works for their unique business needs. “Choose an AI-enabled cloud―that is, a cloud platform with built-in intelligence capabilities that facilitate data analytics,” Frost & Sullivan advises. “Look for a cloud service provider that leads the market in advanced analytics and AI functionality. The researcher points out that AI is not just for new business models. It can provide value to nearly every business function, providing basic insights that support better decision-making, optimization of processes and competitive differentiation. AI functionality can be used to automate and streamline processes such as inventory and supply chain management, quality control, customer experience, and education and training. Innovate with the latest technology, from any source. Create new business insights from more data sources. How do you get there from here? Visit IBM to get started.